Midnight Syndicate’s 13th Hour Arrives Not a Moment Too Soon! Halloween. When most people hear that word they think of trick-or-treating, jack’o lanterns and candy. For someone like me, a home haunter, I think of scaring the crap out of kids and making them earn their treat! I have been doing a yard haunt since 1985 and one thing I have found is that it is getting increasingly difficult to scare the kids, in part because of what kids now experience daily in movies and video games! The reactions I used to get in the late 80’s are certainly more of a challenge these days! In addition to having the typical “jump out at you” scares, I have always tried to create atmosphere with sound effects, fog machines and of course, music. Unfortunately, most cd collections that you find at your local Halloween shop or cd store are horrible (which explains why most of them retail for less than $5). A few years ago I did discover a series of cd’s by a company called Midnight Syndicate and they are now the only music soundtracks I use for my annual haunt. This year they came out with a new cd called “Carnival Arcane”. I have always been a fan of circus sideshows and Killer Klowns have been featured in many of my haunts. The problem in the past though is that creepy circus music has pretty much non-existent, except for some random tracks on those $5 compilations that I spoke of earlier (yes kiddies, you get what you pay for with those cd’s). When I received this cd I was very curious as to how good it could be to be honest…I have always enjoyed Midnight Syndicate’s releases in the past but was wondering if they could actually put together a circus-themed cd that works, considering no one else to date has been able to (at least not that I have found). The answer is a resounding YES!!! The problem with previous circus-themed releases from other companies has been that even though they are supposed to be scary, the tracks would always come off as silly and not useable at all for a haunt. 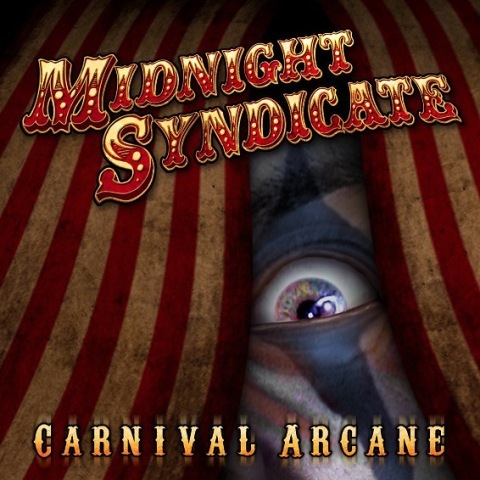 What Midnight Syndicate has done here is not only create a themed-release that is perfect to use for any circus or sideshow setup, but my favorite part is that many tracks can also be used in other set-ups as well! The music at times is genuinely creepy and yet manages to hold on to the charm that only circus music can provide! If you are a fan of Midnight Syndicate and the awesome cd’s they have released, then this is a must-have for your collection! If you haven’t heard them yet, then this would be a great way to start your collection (and believe me, once you hear one of their releases you will be buying more)! 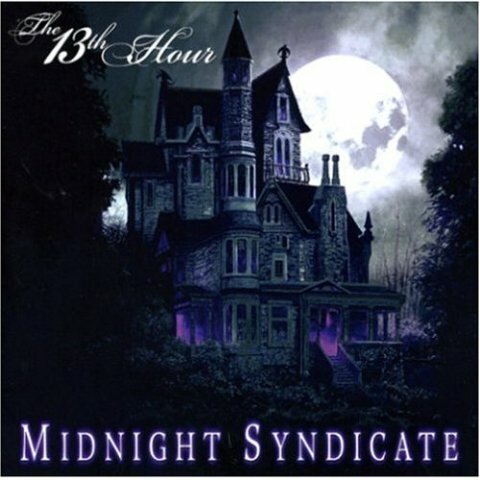 To order this (or any other Midnight Syndicate cd’s) visit their website HERE! You can also order through Amazon or iTunes (or if you are the patient type, these discs will be available at a favorite Halloween retailer near you!). Come back tomorrow for part 2 of our seasonal cd review double header as Dave Fuentes discusses another new release, the soundtrack to the cult classic made-for-tv movie DARK NIGHT OF THE SCARECROW! This entry was posted in Music to Die For! and tagged Carnival Arcane, Midnight Syndicate, The 13th Hour. Bookmark the permalink. ← Mr. Lobo and Dixie’s Excellent Adventure!